Looking for a Hen or Stag Do activity with a difference? Are you planning a Corporate day out and want something a bit more interesting to do than the usual team building activities. Any of the below activities can be booked as single events or combined to create an afternoon or full day of experiences. In teams of 3-4, you will be provided with a map of the farm and a list of clues to solve. Upon solving each clue you will find a piece of the puzzle. The team that completes the puzzle first will win. There will be other challenges and bonus points available to collect along the way. The aim of the hunt is to help you implement your team working skills whilst identifying everyone’s individual strengths. You will get to know your colleagues more and hopefully have fun along the way…or you may all fall out and destroy your working relationships forever. 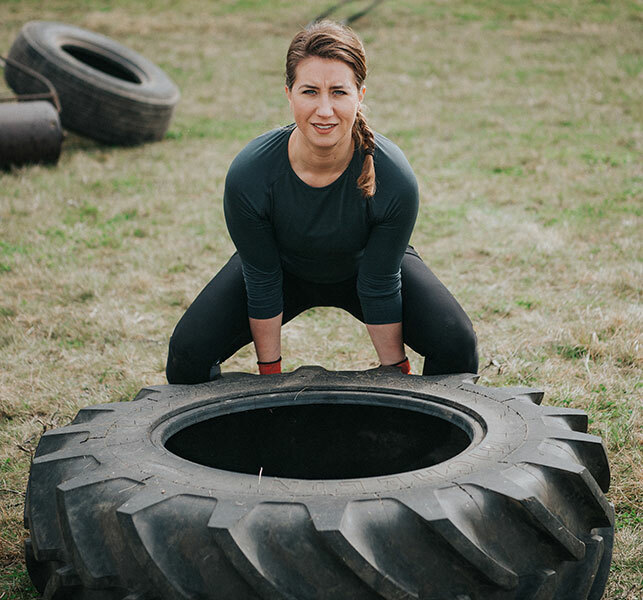 An exercise session on the farm, using tyres, logs, rocks and more to give you a workout with a difference. All exercises can be adapted to accommodate any level of fitness, making it appropriate for anyone willing to give it a go. The obstacle course session will be a combination of team and individual activities. Teams will compete to complete a series of obstacles in the most efficient way, using teamwork and collaboration to ensure their victory. The session finishes with a timed solo obstacle race. This session is designed to optimise running technique and fitness. We will discuss and practice body conditioning for running, optimum cadence and running gait. We will experiment with sprint drills and cardio resistance before finishing with a 1 mile trail run to incorporate all that we’ve learnt. A nutritional discussion exploring the concept of food and health, diet culture, intuitive eating and how to develop a healthy relationship with food. A yoga and meditation specialist will lead either an hour long yoga class or a 30 minute meditation session in the Tipi. On beautiful, warm days we will keep the tipi sides open and enjoy an outdoor sunlit class. On less weather friendly days we can close down the sides and relax in the peaceful bubble of the Tipi. If you would like to book an experience at the farm, get in touch today to find out more!